WriteMapper is a very nice mind-mapper app for iOS and the Mac (and Windows). 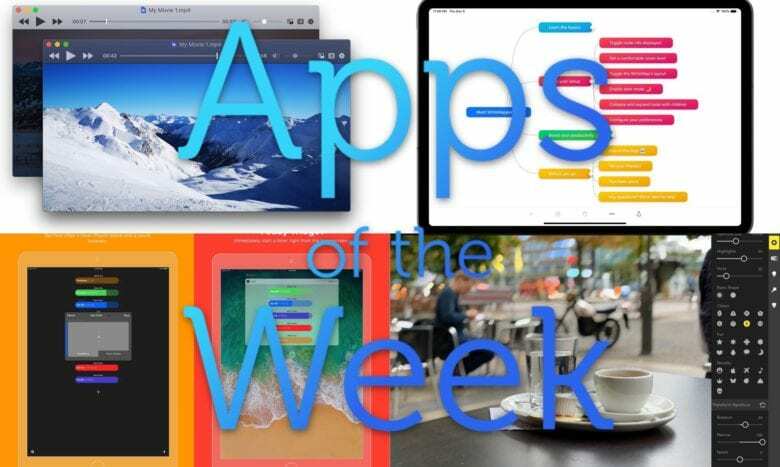 The latest version, released this week, adds a few great features. One is file import, which turns any Markdown, HTML, Microsoft Word, or OPML file into a mind map. Next up is custom keyboard shortcuts for all apps, even the iPad app, plus a new document preview. 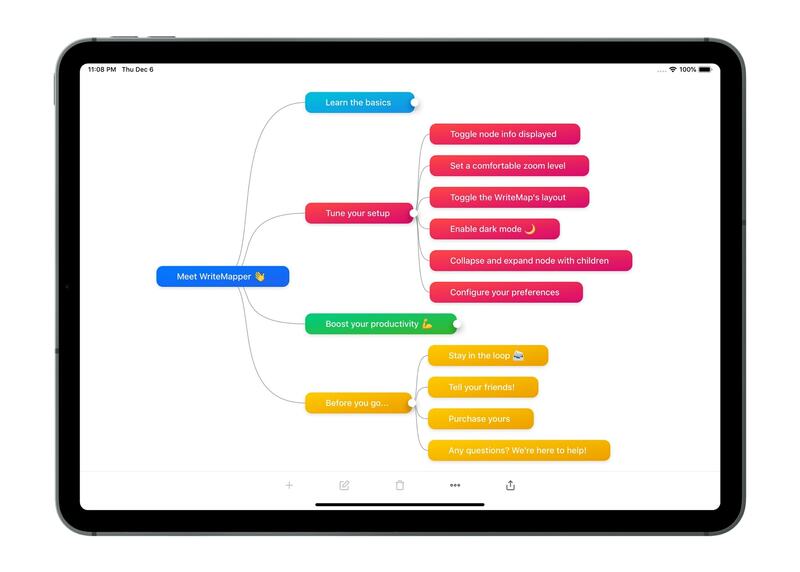 Mind map fans are probably already checking it out. If you’re not sure what it’s all about, there’s a free trial period available. 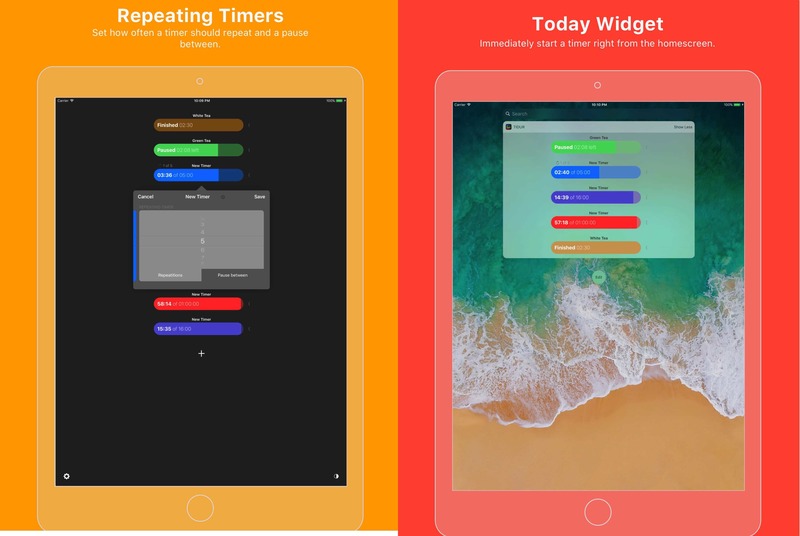 The easiest timer app around. Tidur Timers may be the handiest timer app on iOS. If you constantly use the same timers, for steeping tea, warming baby’s rum and milk sleepy bedtime drink, and so on, then you should have Tidur. Once you have set up your timers, they appear in the app, and in the Today Widget. Just tap to begin. You can run multiple timers at once, and even trigger them using 3-D Touch on the app’s icon. Add custom bokeh, mimicking classic real-world lenses. Edit and fix the depth map. Add fog to the background. Add effects to the background and foreground, separately. Re-light an image using a 3D view of the scene. This one is totally wild. Now, Focos is on the iPad, too, so you can snap Portrait Mode photos on your iPhone, and edit them on the big screen. If even supports Apple Pencil 2, so you can easily fix up your janky depth masks. Iina makes everything easy — except pronouncing its name. 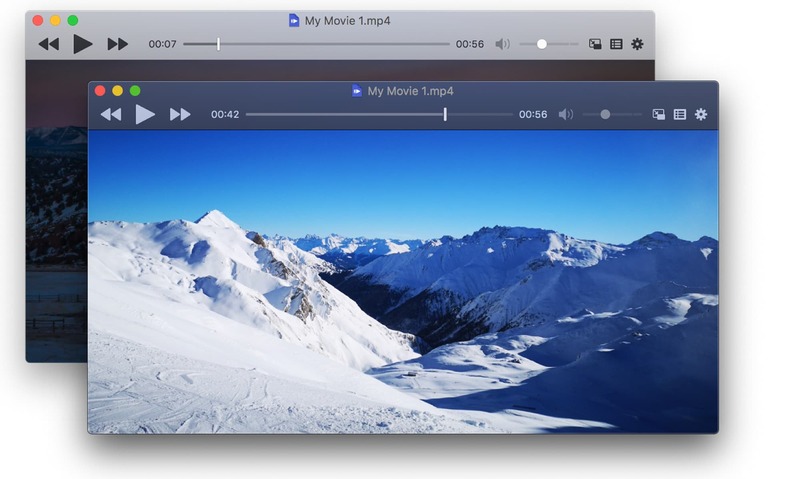 Iina is based on the open-source video player MPV, and is a download from outside the Mac App Store. Make sure you’re happy with that, security-wise, and that you know how to open apps from unknown sources. It supports local files, streaming, YouTube playlists, native PiP, and more.